401k Loan – Friend or Foe? I found the following link to be an interesting read. 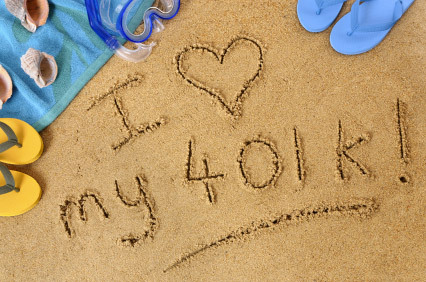 With so many people hard up for money right now, a 401k loan can be a life saver. But if not careful, you could end up paying a lot more in taxes (and perhaps even penalties) than you expected. Double Taxation – If you take a loan from your 401k plan you must pay that loan back with after-tax dollars (dollars right out of your pocket). So as you pay that money back, you are putting it into an account that the IRS is going to charge you taxes on when you pull the money out in retirement. So not only are you paying the loan back with money that taxes have already been paid on, you are going to have to pay taxes again when the money comes out. Taxes (and Penalties?) – If you leave your job (or are forced out) prior to paying back the 410k loan, the loan must be paid back right away! So what happens if you don’t have the money to pay back the loan? Then you must pay taxes on the remaining loan balance as if it were a withdraw from the account. Also, if you are under age 591/2 you will be hit with a 10% penalty for pulling money out prior to retirement age. Previous Article Ameriprise workers sue over fund expenses!